Posted on September 16, 2011 Elle BerryPosted in MISC. Ok, so it is undoubtedly the cheery fall packaging that snookered me in. I don’t normally go for Peeps (‘I don’t drink Peeps’). Nope. 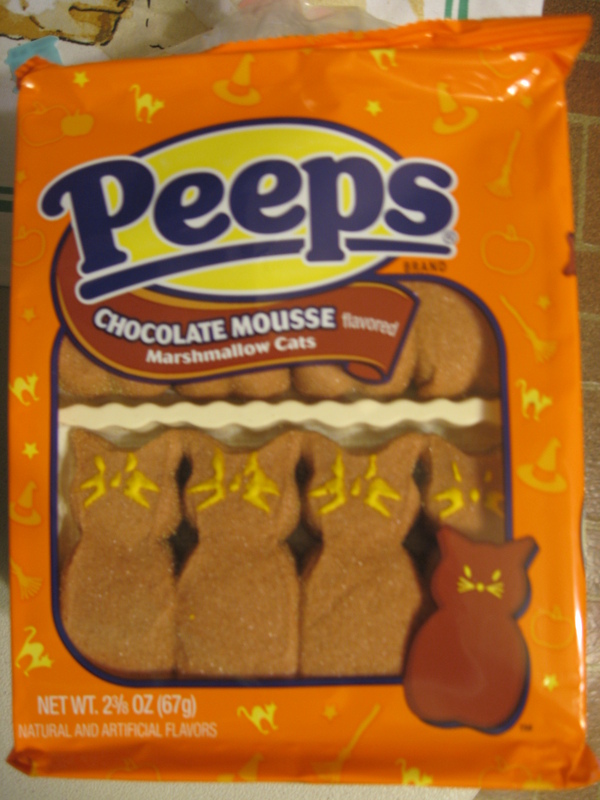 But these were AUTUMN Peeps. They’re cats. They beckoned me. They maybe even spoke my name. They’re cute… So once again I think I’m going to find myself drinking Peeps… Oh my.